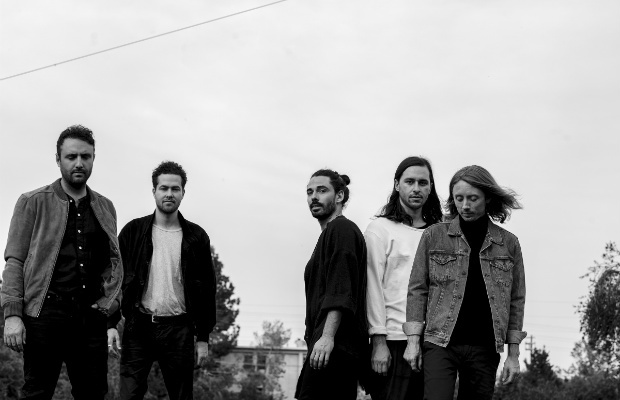 It’s been a couple of years since dreamy indie rockers Local Natives played The Ryman, but they’re back on Friday, Oct. 14th in support of their anticipated new album Sunlit Youth. They will be joined by soulful Canadian songstress Charlotte Day Wilson. Tickets are still available for purchase for $35.50, but we’re giving one lucky reader a chance to win a pair of tickets on us! Read on after the jump for more info about the bands, and submit your entry in the contest. Beautiful harmonies, sweeping melodies and emotional, introspective lyrics – it’s hard not to get captivated by the music of LA-based outfit Local Natives. After releasing their debut album Gorilla Manor in 2008, the boys were met with plenty of buzz from the indie music scene and quickly became a staple in the festival circuit, in addition to their own headlining tours, and earned a reputation for putting on a killer live show (if you haven’t seen them jam out to “Sun Hands” during an encore, then you haven’t truly lived and you need to start preparing your feelings). We were super lucky back in 2013 to have them play Marathon Music Works AND Live on the Green in the same year when their sophomore album Hummingbird was still fresh, with their Ryman debut coming the following spring. The band went quiet for awhile in between to record Sunlit Youth, before hitting the road again this summer, which included a killer set at Forecastle. The album is finally out, and it’s stunning, just as you’d expect. The band took a more visual approach with their work this time around, not that the music itself is lacking anything, but the initial release of Sunlit Youth included an immersive visual stream to accompany the songs, and so far all of the official videos for their singles have been elaborate lyric videos. You can check out the one for “Villainy” below, which includes appearances from all the band members. Canadian singer-songwriter Charlotte Day Wilson, formerly of the R&B quintet The Wayo, has been working on her solo career this year, and released her debut EP CDW. With a low, soulful voice over catchy yet ambient tunes, it’s easy to see resemblance to artists like Jessie Ware and Lianne La Havas. She’s also a classically trained pianist, a jazz-trained saxophone player and a self-taught guitar player and vocalist, so this lady has it going on and we can’t wait to see her. You can check out her single “Find You” from CDW below. Enter to win tickets by filling out the form below. Must be 18+ to enter. After you have entered, there will be the option to share this contest via social media. For each person that you refer to the contest, you will receive an additional entry. If you experience any trouble with the contest widget, or have any questions, feel free to email us at [email protected]. Winner will be announced Wednesday, Oct. 12, and will receive one pair of tickets. Good luck! Local Natives and Charlotte Day Wilson will perform Friday Oct. 14 at the Ryman Auditorium. The show is all ages, begins at 8 p.m. (doors at 7 p.m.), and tickets are available to purchase for $35.50. Meredith graduated from MTSU in 2013 with a Bachelor of Science in Recording Industry Management, and is now a marketing coordinator for a national concert promotion company and writes for No Country in her spare time. She's a Tennessee native and apologizes for how many times you'll read the word 'y'all' in her posts. You can follow her rants and bad jokes on Twitter @worstnightmere and find pictures of her favorite bands and cats on Instagram @_worstnightmere. Sufjan Stevens Announces November 11th Date At The Ryman! Bonnaroo Band of the Day: D.R.A.M.